I’d better jump right into this letter. So many exciting things that have happened over the past two months. 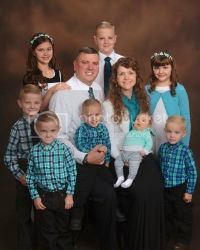 This is a missionary prayer letter, so you are expecting to hear about souls that have been saved: Number One at the top of my list has to be my 6 year-old grandson, Joshua Andrew Miller who was saved on October 7. 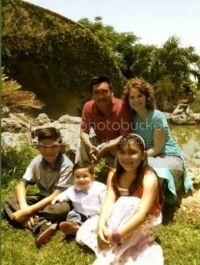 I pray the Lord will give wisdom to Steve and Ruthie to raise him so that God can use his life in a very unique way. I know just as precious to the Lord is Gabriela, a nurse who was saved at our Nursing Home visit on October 27, when one of the ladies led her to the Lord. The next morning, Claudia was saved when I gave the invitation after teaching my Sunday school class. On November 4, there were 5 saved in the Sunday morning service, and the special thing about Miriam’s Salvation is that she is the Mom of one of our Vacation Bible School students. The following Sunday, 3 more precious souls were saved. I was honored to be the guest speaker at a local Baptist Church, where the ladies were celebrating the 10th Anniversary of their ladies’ meeting. I know I say this every year, but if you base our Banquets on the attendance, this really was the best one of the twenty. Although there was a record attendance of 129 ladies, what made this Banquet so wonderful were the 15 ladies who were saved following Pastor Alejandro Ramírez’ sermon. Please pray for the ladies and me, as we do follow-up work. I pray the Lord will use these ladies to win others. Among our special First Ladies, was a judge from a nearby town. This was her first time to attend. Two days after the Banquet, we drove to Ixtapa, where I attended the Annual Conference in the Church that my son in law, Ulises Martínez started. I was invited to speak to the Ladies’ that Sunday morning. The next evening after the last service, there was a Banquet…actually an annual event that Ulises started 8 years ago, thanking the Lord for my 58 years of living in México. I was overwhelmed as I was lavished with so much love and gifts, and bouquets from the ladies. Although Ulises is in Israel, the different churches he started continue to thrive under the ministries of the men he trained. One of the many joys of devoting our lives to helping young people is seeing them fall in love and marry. Esteban is a result of the boys’ home ministry my husband started years ago. He is such a fine young man, and faithful to the Lord. Anai was just a little girl when her family started attending our church. She works in the music department, and teaches children. They were married here in our church on November 23. I pray God will use their lives to bring others to Him. Although this is my Christmas prayer letter, since I won’t be writing my next letter until February of 2019, I have been thinking about all the dreams and plans I have for my different ministries next year. I hope your year will be full of dreams come true, and excitement as God helps you to achieve your goals for Him. Does your life sometimes seem humdrum…even your ministry? Well, I’ll have to admit things can get pretty routine for me. But then God does something which seems to add meaning to the ordinary things I do: like our ladies’ monthly visits to the nursing home. Sometimes I sit and watch as our ladies pour out their hearts into teaching these old people, and then serving them refreshments, and I wonder, “How much do they really understand?” Until something happens like it did last Saturday, when one of our ladies told me, “Don Anselmo died since our last visit.” Of course my question was, “Was he saved?” “Yes, he was.” I don’t have to tell you, that ministry has taken on a whole new meaning, and encourages me to just stay faithful. Our church is going full speed ahead. I can hardly keep up with all the plans our young Pastor Albino has, and his vision for the work here. We had a Big Day on August 5, and there were 5 people saved. A couple of weeks later another lady was saved. Our pastor also puts lots of time into the village work that my husband started many years ago. On a visit to Chalchihuitan where Indian Pastor Sebastian works, there were 23 saved in that meeting on August 24, when Pastor Albino gave the invitation. I love teaching my Sunday school class more and more every week. On September 9, a young mother was saved when I gave the invitation. God pampers me sometimes. I got to speak at the first Ladies’ Conference at Mount Hebron, in Monterrey on September 14 and 15, where my nephew Jonathan Ashcraft is pastor. His wife, Jenny, asked me to be the speaker, and what a wonderful time I had teaching over 100 ladies. I was honored to get to speak 5 times, including the ladies’ Sunday school class on Sunday. And needless to say, it was a special treat getting to spend family time with Jonathan and Jenny, and their 4 precious children. Now, I have saved the most wonderful news for last. Although this is a Mimi Moment, I know you will rejoice with me: my 6 year-old granddaughter Emily Ruth was saved at the Garden Tomb on September 7, after her Daddy, Ulises Martínez, preached on The Sound of the Trumpet, and then gave the invitation. 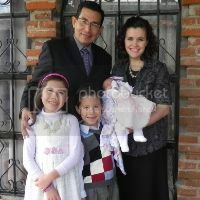 Please pray for the Lord to use her life in a very unique way; and that God would bless the ministry of Ulises and Elizabeth as our ambassadors to Israel. I hope the Lord will add some spice to your routine today. 1. Wisdom and discernment in all the plans and decisions to be made. 2. Extra strength for the ladies and me as we plan and make preparations. 4. For the wives of the former mayors, military women, and military wives; women on the police force, and wives of men on the police force; and pastors’ wives to be able to attend. 5. For extra finances for the cost of the Banquet. 6. Preparation of the special music, and choice of each song. This year we are excited to be having Missionary Francisco Aguirre and his wife, Celina attend. Their children will be a special part of our music program for the evening. 7. For our guest speaker, Pastor Alejandro Ramírez, as he prepares his message for the evening, and for liberty as he preaches. 8. For the Hotel staff to be reached with the Gospel. 9. That the Lord would prepare the hearts of the ladies who will be attending, and for many to be saved, who will be an influence to others. We have had ladies saved in every banquet for the past seventeen years, including six former First Ladies, three military wives, two ladies who have prominent positions in our city, and a policewoman. Note: This Banquet is an annual affair, and will be attended by ladies, who for the most part are unsaved, and who either because of religious preferences, or pressures from home, do not attend our Church. The Lord laid these dear ladies on my heart several years ago, and I am as burdened for them as I am for the ladies in my Sunday School Class. You never know when surprise blessings will show up! Like getting to speak to a young Hispanic druggie about the Lord in Mississippi while out soul winning with my son in law, Jason Knabb’s church; and having Marcos listen to me; or getting to attend a concert at the end of a 4-day Music camp, and hear five of my grandchildren perform. And then, there are the ones we pray for: like “Father, help me to be a blessing to the ladies where I will be speaking.” This is the prayer I pray everywhere I am invited to speak. Tradition, mainly helps me to look forward to the Spanish Family Conference in Bartlett, IL, near Chicago, where Pastor Elmer Fernández has invited me for the past eleven years. I believe the Lord answered my prayer during the 8 different times I spoke, including a Sunday school class of single Moms. But really, I am the one who is always challenged and blessed. The special thing about this conference, was getting to spend those days with my brother, Tommy Ashcraft. It is so rare that our paths cross during our travels, so this was a special surprise blessing. Our monthly Prayer Breakfasts continue to be well attended, mainly by lost ladies, but also by nearby pastors’ and missionaries’ wives, and ladies from our church. On July 25, when I gave the invitation, a nurse who was invited by one of the ladies in our church, was saved. If you have ever heard of Bro. Jimmy Adams, I’m sure you will agree with me that he has a passion for lost souls. He was a blessing to our church here July 6- 7, as he conducted a weekend Personal Evangelism Conference. 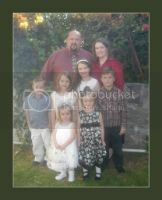 Having lived on the mission field in México, and traveling to many Hispanic countries, he is fluent in Spanish. I, for one, was challenged to be more faithful in witnessing. Two days after our conference was one of the highlights of the year in my ministry: our Vacation Bible School. I certainly do not do half the work that is required; but I do get to lead the opening exercise, sing with the children while playing my accordion; and then teach a lesson, and give the invitation. After crafts and games, the children get another opportunity to be saved since we always end each day with a Gospel message preached by the Pastor, or one of the men in the church. This year I am delighted to report that we had 12 children over the age of 7 to come forward for Salvation, and twenty-six little ones who didn’t quite understand. However the teachers spoke with them, also. At our last monthly visit to the Nursing Home, two elderly people, and a nurse on the staff were saved. Another surprise blessing! A blessing? As a mother, not entirely. But for my children, Ulises and Elizabeth Martínez, and their 3 children, definitely! A dream came true for them on July 25, as they landed in Tel Aviv, Israel to serve the Lord as His Ambassadors. I miss those surprise visits from their little village, just an hour away from here. But I’m surprisingly being blessed by knowing that “I have no greater joy than to hear that my children walk in truth,” and that they are fulfilling God’s will. I hope God has many surprise blessings in store for you these next two months. 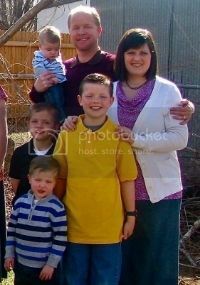 Lots and lots of changes have taken place in my life since my last prayer letter. I'm sure you've already noticed a major one if you saw my prayer head. While I tend to rebel against change, I'm sure the ones taking place in my life right now are for my good, and for the good of so many others. My home Church, Windsor Hills Baptist Church, recently changed not only its location, but also its name to Higher Plain Baptist Church. Please notice, also the change in the address and phone number. But thank the Lord, my Pastor is still Bro. Tom Vineyard. And our doctrine hasn't changed. The church here continues to grow. There have been people saved through our bus routes and regular church services. On December 15 and 16 at our Youth Conference here, there were 12 young people saved. 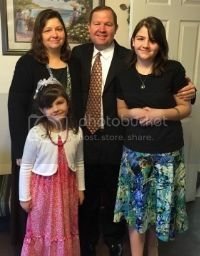 A lady was saved when I gave the invitation in my Sunday school class on Christmas Eve. Our New Year's Eve Sunday morning service was held on the property where our new church building is being constructed. The men are working very hard, in order to have it ready to move into by May. So, it looks like another big change lies ahead. For 34 years our church, which was started in our living room, has been on our property. I'm preparing myself emotionally for this wonderful change, which means progress in the Lord's work. We had our first Ladies' Prayer Breakfast of the year on January 31. The wife of our City Mayor was present. Since she became First Lady of our town, she hasn't missed one of our Ladies' Christmas Banquets; and she almost never misses a Prayer Breakfast. She has been attending some of our services, and is hungry for the teaching and preaching of the Word. She was saved in a Baptist church, but attends another church with her husband. Our speaker for our Prayer Breakfast was my daughter, Elizabeth Martinez. Please keep her and Ulises in your prayers, as they will be departing for the USA in a few days, and continuing their deputation as missionaries to Israel. I will soon begin my travels for the year. While it is an honor to be invited to speak to ladies in different conferences, my heart is here. The only reason I ever leave home is the hope that I can be a blessing to other ladies. May the Lord help us to keep our focus on Him.